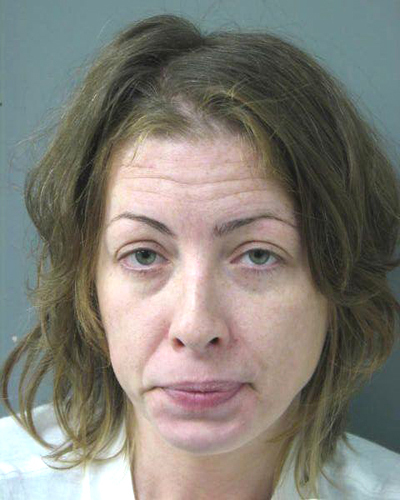 The Louisiana woman, 36, is jailed after allegedly trying to “forcefully” steal the shoes off an 11-year-old boy. Following Saturday afternoon’s attempted theft, cops arrested Brimberry based on a description provided by the young victim. After being collared, Brimberry “stated she could not believe she was being arrested for trying to take shoes from an 11 year old kid,” according to a probable cause affidavit. Police noted that Brimberry’s blood alcohol content was measured at more than three times the legal limit for motorists (though the affidavit does not indicate that Brimberry was driving). While being booked into jail, Brimberry reportedly told a cop, “When I see you I will kill you.” She also twice tried to run out of the jail, investigators noted. Pictured above, Brimberry is locked up in lieu of $7500 bond. Brimberry was charged with attempted robbery and public intimidation. The affidavit does not disclose what kind of shoes the child was wearing.